I'm getting ready for Independence Day! After I worked in my garden for a good little while last night, I decided to come inside and bake some goodies for my friends at work. 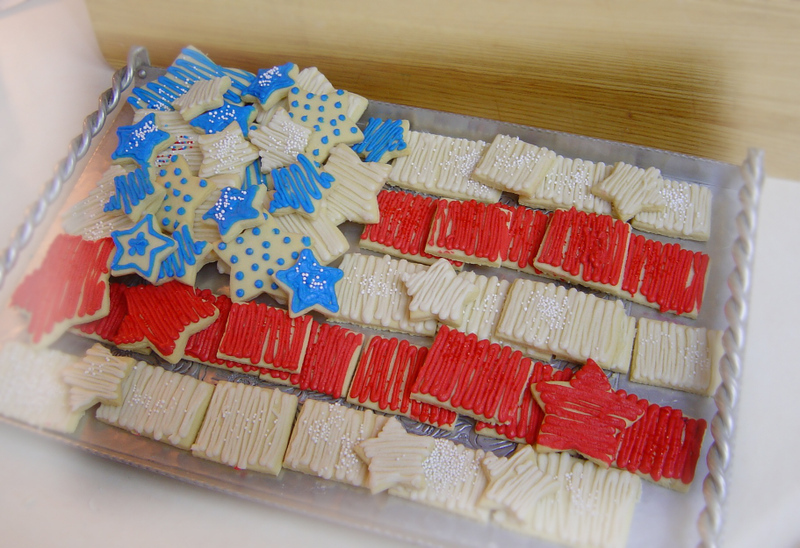 These are just my basic sugar cookies, frosted all in red, white and blue. 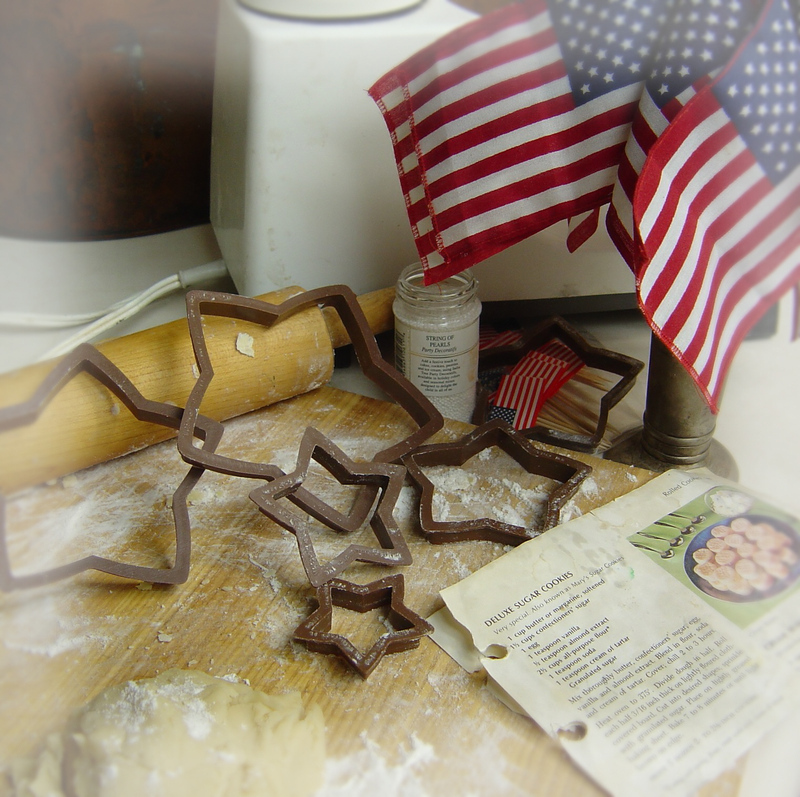 I have a nested set of star cookie cutters that I've had forever, and I use them at Christmas and for the fourth of July. The rectangle cookies are just rolled out dough cut with a butcher knife. 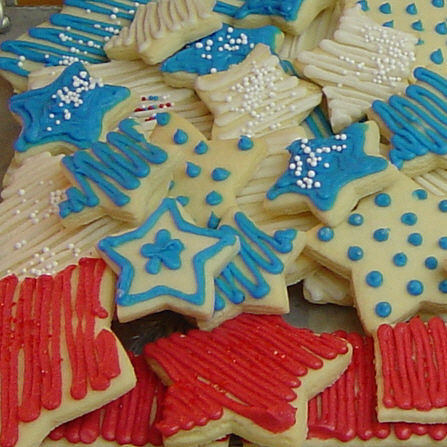 The thing about cookies is that you can make them plain or fancy, depending on your mood. My recipe comes from an old, old Betty Crocker cookbook. The page fell out of the book from so much use about twenty years ago, and I have manged to hang on to it, even if it has gotten a few splatters and spots over time. I think this recipe is still in the new version of Betty's cook books, and often times is called "Mary's Sugar Cookies". I thought I'd share it with you today in case you feel like baking up a batch to share.. Mix together sugar and butter. Add egg, vanilla, and almond extract; mix well. Blend in flour, baking soda and cream of tartar. Cover and chill for 2 to 3 hours. Heat oven to 375 F. Divide dough in half. Roll each half 3/16 inch thick on lightly floured cloth-covered board. 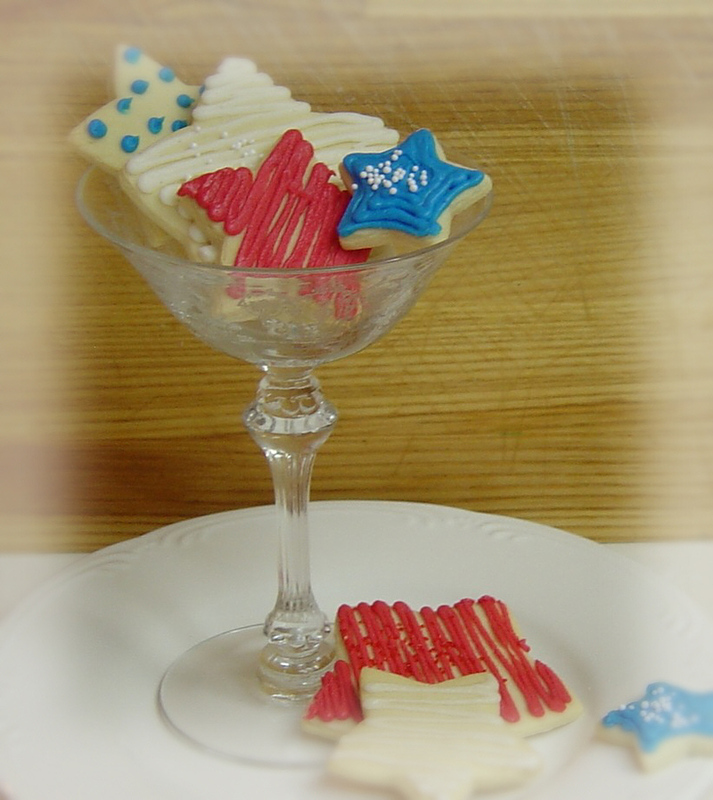 Cut into desired shapes; sprinkle with granulated sugar. Place on lightly greased baking sheet. Bake 7 to 8 minutes or until light brown on edges. 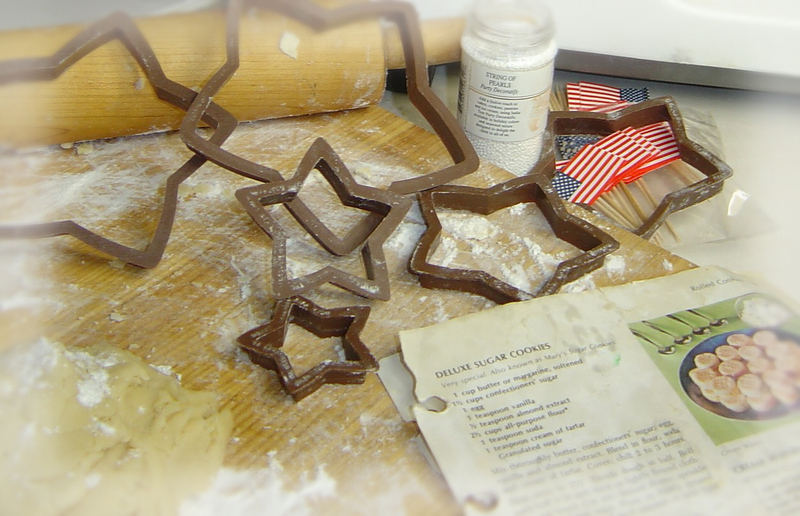 Mix all ingredients together on high speed of mixer, Fill piping bags, and frost cookies. Pour yourself a big glass of milk and enjoy.